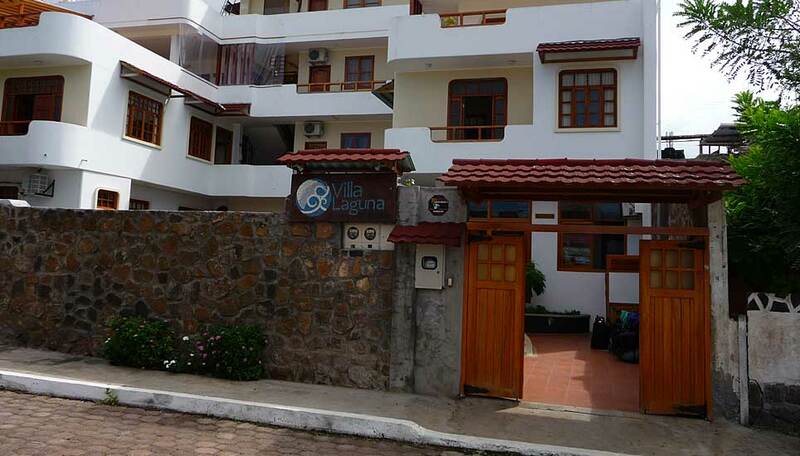 Villa Laguna is a 16 room hotel with an outdoor pool in Puerto Ayora on Santa Cruz Island. 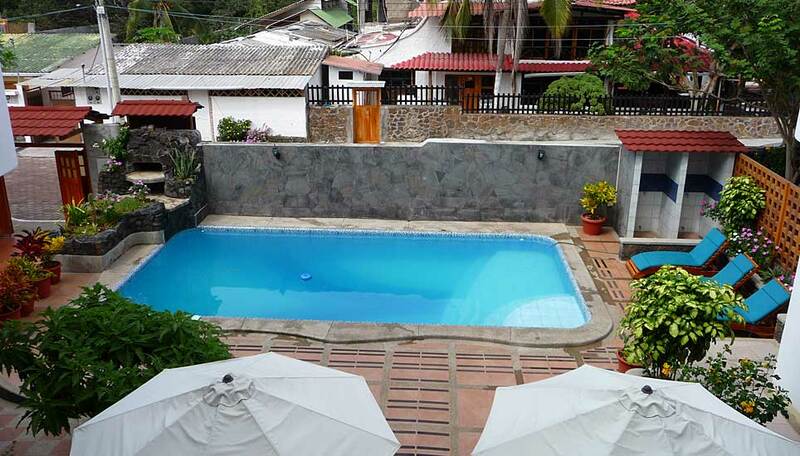 Each of the guest rooms has a private bathroom with hot and cold running water. The room is air conditioned and has a TV, minibar and a safe. 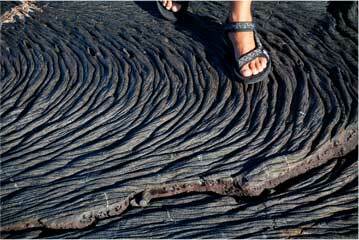 There are standard, superior and deluxe categories, varying in size. Many rooms have balconies. 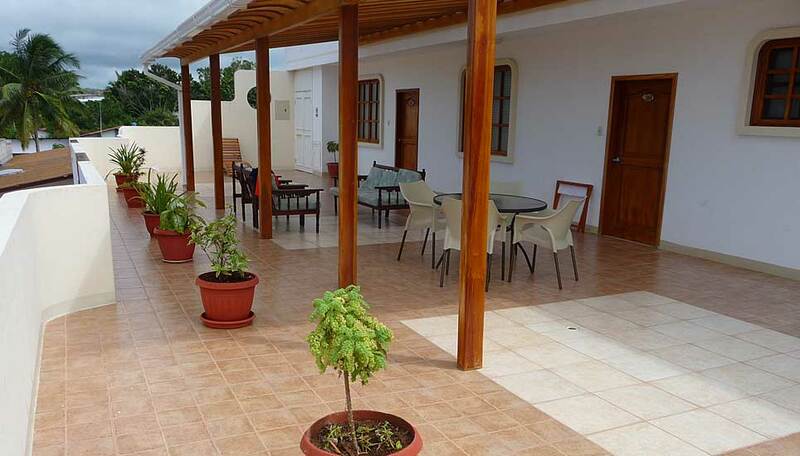 El Manglar Restaurant is open for breakfast, lunch and dinner and you can also dine on the terrace in the open air. The freshwater pool is perfect when you want a cooling swim and has a spacious deck where you can relax on a sun lounger. Indoors there’s a lounge where you can watch TV, browse through a book or check emails. 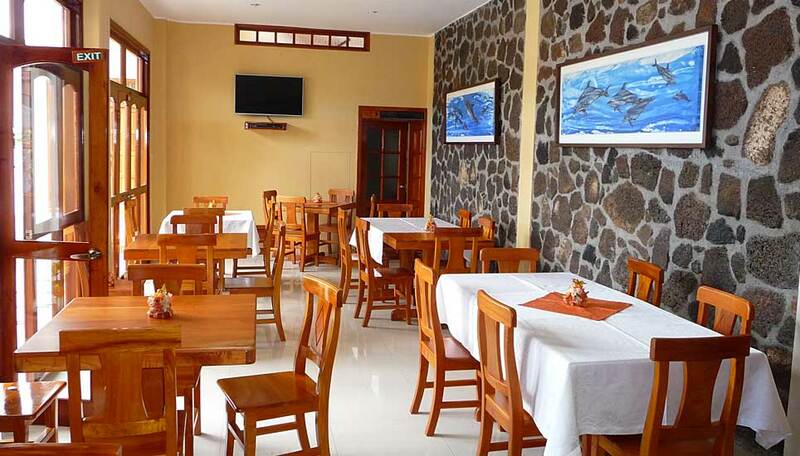 The hotel is in a quiet neighbourhood about a 5 minute walk from the shops, restaurants and harbour of Puerto Ayora and the beach at Tortuga Bay, making this is a convenient place to stay. The reception is manned 24 hours a day and staff are very helpful. 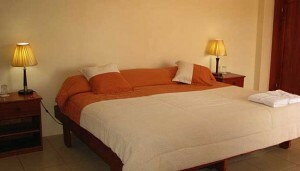 There are 16 rooms: 17 rooms in standard, superior and deluxe categories and of varying sizes. Some have balconies.